Are you Sweet because you eat Sweets? Are you "Hot" because you eat Spicy Foods? ... Now, what was I saying? You are what You Eat and A N D what you Don't Eat... Like your Fruit & Vegetables..! Carrot - Eye A sliced Carrot looks like the Human Eye. The Pupil, Iris and Radiating Lines look just like the Human Eye...and YES science now shows that carrots greatly enhance blood flow to and function of the eyes. Tomato - Heart Chambers A Tomato has four chambers and is red. The Heart is red and has four chambers. All of the research shows tomatoes are indeed pure heart and blood food. Grapes - Heart Shape Grapes hang in a cluster that has the Shape of the Heart. Each grape looks like a blood cell and all of the research today shows that grapes are also profound heart and blood vitalizing food. Walnut - BrainA Walnut looks like a little brain, a left and right hemisphere, upper cerebrums and lower cerebellums. Even the wrinkles or folds are on the nut, just like the neo-cortex. We now know that Walnuts help develop over 3 dozen Neuron-Transmitters for Brain Function. Celery, Bok Choy, Rhubarb - Bones These Foods specifically target Bone Strength. Bones are 23% Sodium and these foods are 23% Sodium. If you don't have enough Sodium in your diet the body pulls it from the Bones, making them weak. These Foods Replenish the Skeletal Needs of the Body. Avocado, Pears - Womb & Cervix - TesticlesThese Foods target the health and function of the Womb and Cervix of the Female - they look just like these organs. Today's research shows that when a woman eats 1 Avocado a Week, it Balances Hormones, sheds unwanted birth weight and Prevents Cervical Cancers. Figs - Male Testicles Figs are full of seeds and hang in twos when they grow. Figs increase the motility of Male Sperm and increase the numbers of Sperm as well as help Overcome Male Sterility. Sweet Potatoes - PancreasSweet Potatoes look like the Pancreas and actually balance the Glycemic Index of Diabetics. Olives - OvariesOlives assist the health and function of the Ovaries. Grapefruits, Oranges, Citrus Fruits - Breasts, Female Mammary GlandsThese Fruits look just like the mammary glands of the female and actually assist the health of the breasts and the movement of lymph in and out of the breasts. 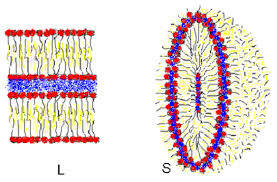 Onions - Body CellsOnions look like body cells. Today's research shows that Onions help Clear Waste Materials from all of the body cells. They even Produce Tears which Wash the Epithelial Layers of the Eyes. Why is it that we are so CONSUMED with what we feed our body? People today are fixated on feeding their APPETITE! I believe this Nation has an Epidemic of Obesity because People feel SO empty Spiritually that they attempt to fill the Void with Food. What am I feeding my M I N D ? What am I feeding my S O U L ? "hummm, what do I WANT to eat for Breakfast"
I feed my Spirit and Mind some fuel for the day! PS: Where do you eat? Where do you feed your Mind and Spirit? What do you feed your Mind and Spirit? Who do you eat with? How is their Health?